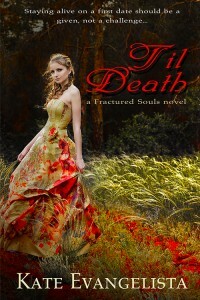 Til Death was an interesting writing experience for me. Its genesis came from waking up one night in a cold sweat. I’d dreamt that I’d died. Have you ever had those dreams? Freakier still, when my panic subsided, was I couldn’t remember exactly why or how I died. Of course, this is inconvenient because now I have to wait like everyone else to find out how I will die. Anyway, let’s move away from the morbid. Well…maybe just a little more. So, after this dream, I did what any self-respecting writer would do, I translated the experience into a plot. This is when Selena Fallon moved into one of the apartment complexes in my head. She has visions of the future. Mostly her direct future like what she would get on an exam or stubbing her toe on a floorboard. Everything is all nice and dandy until she dreams of her own death. And it’s quite a creepy, gruesome death too. I would think that anyone who dreams of her death would try anything and everything to prevent it from happening, right? Well, that’s exactly what Selena does even if she knows it’s futile. Her visions always come true. That’s the problem. Does she just sit around and wait for the inevitable or does she stand up and fight? But what happens when everything you try to do to prevent your death actually leads to it? That’s the sucky part. Enter Dillan Sloan into the equation and everything goes topsy-turvy. Dillan is an Arbiter for the Illumenari. Basically someone who keeps creatures that goes bump in the night from attacking humans (his words, not mine). But like any hero, Dillan has a past. But instead of running away from it, he’s actually seeking redemption and a way to find himself back in the good graces of his family and the organization that demoted and banished him. Newcastle is the middle of nowhere town in Wyoming where all the action takes place. It’s an actual town that I fictionalized for the sake of this crazy story. At first, Dillan believes it’s just a small, quiet town. Of course, he’s proven wrong on multiple occasions. In writing Til Death, I discovered so much about myself as a writer and a person. I experienced a gamut of emotions. The ups and downs are way too many to recount in this blog post, but I don’t regret any of them. 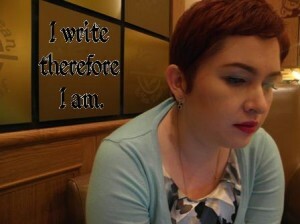 In fact, I’d say I grew a lot during the process of writing Til Death. This is one of my books from way back when. It came from a time in my life when I still had a day job and a writing career was a distant dream. I think that’s where the purity of this story comes from. The plot often walks into dark places, but the humor peppered in is just as enjoyable. It is my hope that readers will enjoy following these characters as much I have. Dillan, Selena, and the gang will certainly surprise you in many ways.